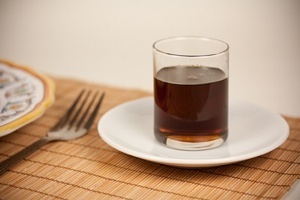 Syrups are thick, sweet liquids containing water and a large amount of sugar. The large proportion and type of sugar molecules bump and tangle together as the syrup is poured which effects syrup viscosity. Syrup recipes are usually vegan by default.